James Fenton was found dead 10 weeks after he went missing, 40 metres from where he had last been seen. TWELVE PSNI OFFICERS have been disciplined by the Police Ombudsman for their handling of a search for a missing man. The body of 22-year-old James Fenton, who had been a patient at the Ulster Hospital in Dundonald, was found in a secluded part of the hospital grounds ten weeks after he had been reported as missing and around 40 metres from where he had last been seen. Members of the Fenton family complained to the Police Ombudsman about the thoroughness of the police investigation. A post mortem examination was unable to establish how he died. Fenton, who was from Bangor, admitted himself as a voluntary patient to the hospital’s mental health ward on 2 July 2010, but by midnight had been reported to police as missing. Two police officers carried out an immediate search of part of the grounds but were unable to locate Fenton. Police procedure says that in the case of such ‘high risk’ missing persons, a Detective Inspector should be notified urgently, but they were not made aware of the situation until 14 hours later. Police records, timed at 10:15 hours, show that there were signals coming from the mobile phone James had with him. By 11:39 hours these signals had died and a crucial line of enquiry was lost. Had this work been undertaken soon after James went missing and under the guidance of a detective, it may have proved more fruitful. Dr Maguire was also critical of a decision by the Detective Inspector not to go to the hospital and the focus of the investigation that James was still alive and being sheltered by his friends. Police also overlooked viewing CCTV footage from the hospital. The Police Ombudsman is also critical of how police dealt with James’ family. “The police did not seem to be listening to the Fenton family and in particular what they were saying about James’ character and how unlikely it would have been for him to be missing for such a long time. It is no coincidence that the decision to carry out the final, successful, search was after a senior police officer had taken time to meet the Fenton family and listen to them,” he said. Dr. Maguire has characterised the police investigation into James’ disappearance as “a catalogue of mistake after mistake”. Email “12 PSNI officers disciplined after their handling of search for missing man”. 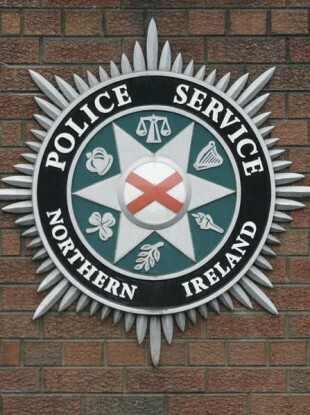 Feedback on “12 PSNI officers disciplined after their handling of search for missing man”.